This is an agility competition. 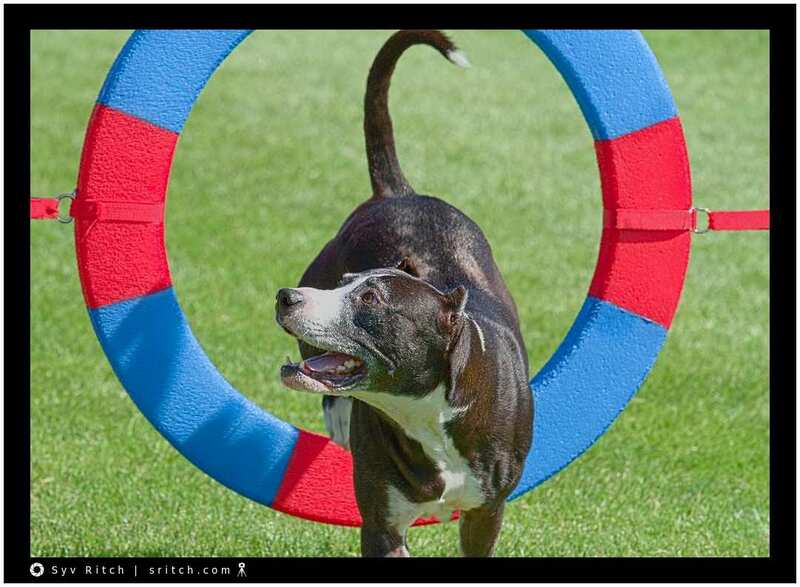 By now, most of the dogs in that agility understand that they have to go through those obstacles and their owners are happy when they go through them. If they rush through these obstacles, their owners are even happier. What the dog doesn’t understand is the order of these obstacles. The order changes every time they run. In fact, the owner is given the order of the obstacles five minutes before the race. So the owners run with their dog to tell the dog which obstacle to go through and where to run next. This dog is not only asking where to go next but she’s also asking for the reassurance that she did a good job and it was right.